Quintessential urban living with Industrial Chic. 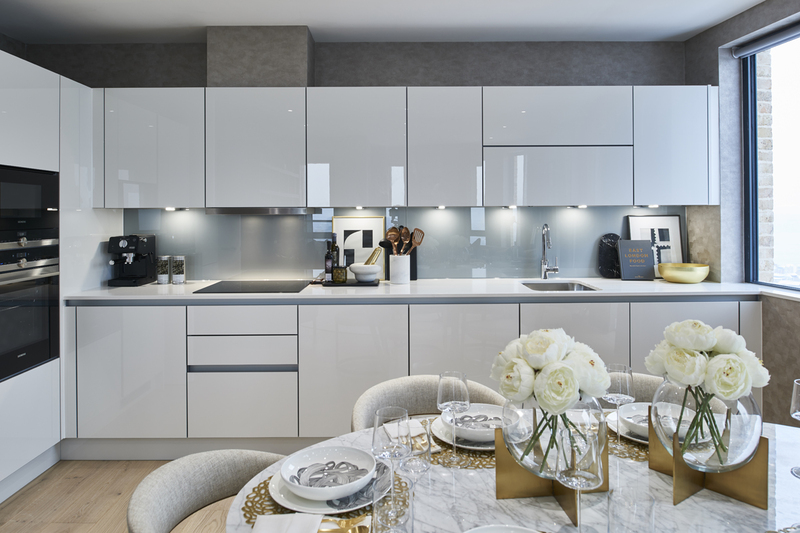 Manhattan Plaza comprises 120 apartments, penthouses and townhouses standing an impressive 21 storeys it's a striking addition to the London skyline. Having worked with Telford Homes for a number of years we understand the high quality and detailed specification they demand. 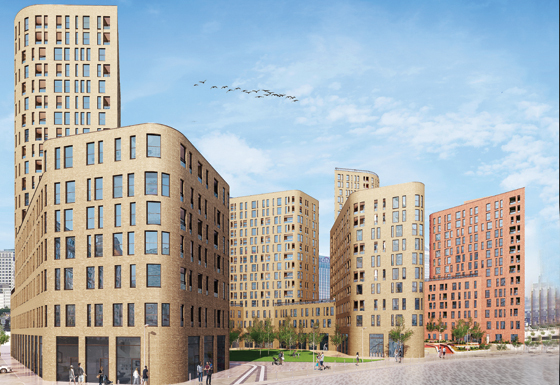 This development is no exception boasting sleek stainless steel appliances, stone worktops and bespoke fitted units from our Urban Life range. 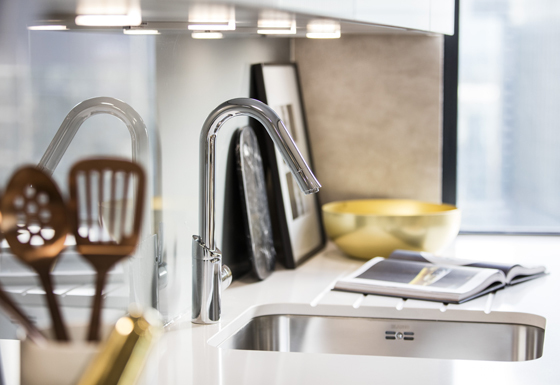 The townhouses feature a combination of Anthracite and Gloss White handle-less units with Beach Iceberg stone worktops and Steel Grey glass backsplash. 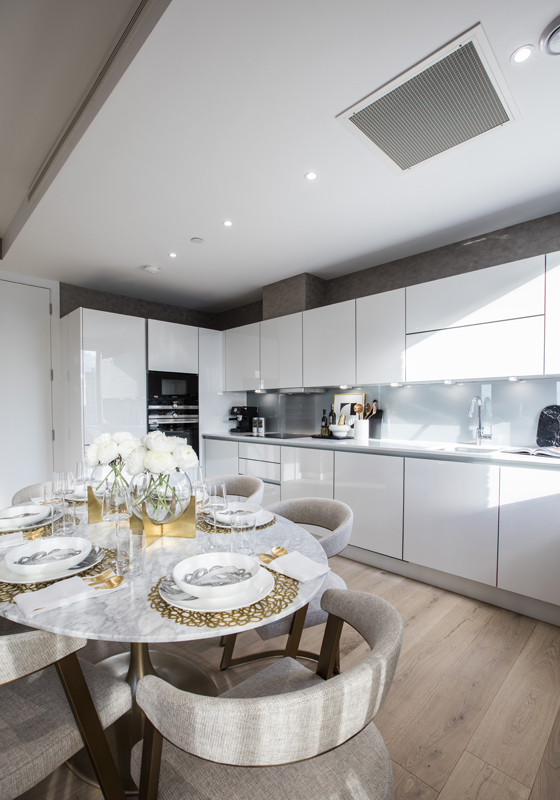 The Apartments have been designed with Stone Grey handle-less units with Unsui worktops and Classic Brown Glass high upstands. The Premium apartments feature Gloss White handle-less units with Beach Iceberg stone worktops and Steel Grey glass backsplash (pictured). All the bathrooms have been finished with Truffle Brown units and stone surfaces.